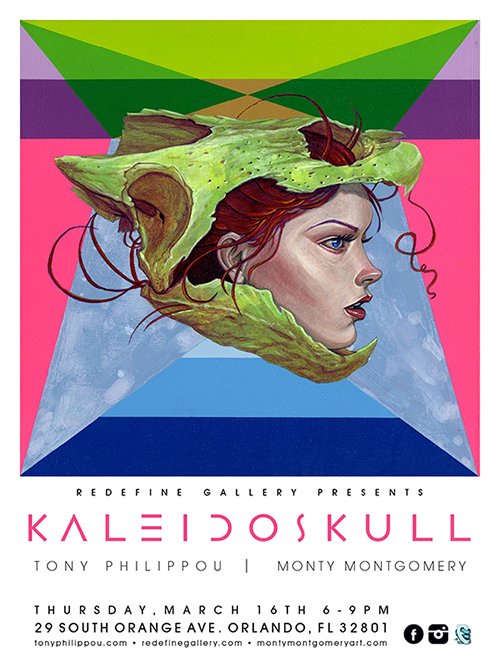 Thanks to everyone who visited Redefine Gallery to check out the “KALEIDOSKULL” exhibition of 36 collaborative and solo works with my talented friend Tony Philippou from Orlando, Florida. Tony and I brought collaborative works to life over the past year and created a mural that was featured at the gallery through the exhibition. The show opened on Thursday, March 16, 2017 6 – 10pm and ran through March 16, 2017. 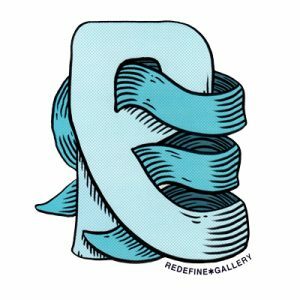 Redefine is located at 29 S. Orange Ave. Orlando FL 32801 on the corner of Orange and Pine Street, at the City Arts Factory Building in the heart of downtown Orlando. *View all of the works through “Kaleidoskull Project” in “Portfolio” on this site and contact me through the “Contact” link on www.montymontgomeryart.com for available works. Tony & I exhibited together through SOUND OF ART thirteen years ago in NYC and it feels really nice to connect again and create together as a team.